Some things never change. One of the unshakable axioms of the Catholic church is that bishops who toe the line get promoted. This morning, the Vatican presented American Catholics with exhibit A when it announced that New York archbishop and United States Conference of Catholic Bishops president Timothy Dolan will be elevated to the rank of cardinal by Pope Benedict XVI next month. 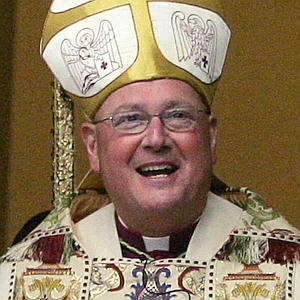 Considering that the New York archdiocese is widely regarded as the spiritual heart of the Catholic church in America and that eight out of New York’s ten archbishops have been named cardinals, it was only a matter of time before Dolan got the red hat. Still, given the great deal of respect Dolan’s peers have for the archbishop, the visibility of his current office, and the fact that his charm and media savvy have made him the de facto face of the American Catholic church, many people were surprised that it took Rome this long to move on his promotion. The United States Conference of Catholic Bishops has taken a similarly aggressive tack under Dolan’s leadership, forming a so-called subcommittee “for the Promotion and Defense of Marriage” dedicated to opposing equal marriage rights. This group is so extreme that its Policy Advisor for Marriage and Family, Daniel Avila, was forced to resign late last year after publishing an inflammatory column in which he stated that homosexuality is caused by Satan. Apparently, engaging in consistent spiritual abuse of LGBT people so endeared him to Catholic leaders in Rome that they gave him a promotion. The worst part? All cardinals under the age of 80 are eligible to vote in a papal conclave (election). Benedict XVI is in failing health, and Dolan’s young age (at 61, he’s a veritable spring chicken among his fellow cardinals, whose average age in 2010 was 78) ensures that he’ll be able to help vote another anti-gay pope into office after the current one dies, and is likely to be able to repeat the feat at least once more. And the cycle of institutional homophobia in the Catholic church continues.